We Will Restore Your Peace of Mind! We Get You Back In Business! Call (559)847-3138, We Can Help! ServiceMaster at Fresno has grown naturally out of owner David Melin’s commitment to our community. Raised in Merced County and a proud graduate of Fresno State, David serves on the board of Merced Chamber of Commerce and is also active in Booster Club. Married with two children, David dedicates his disaster restoration business to service and training, knowing firsthand that serving his community is a privilege, not a responsibility. 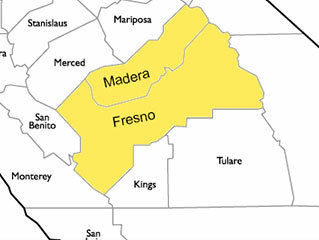 An independently owned franchise serving Madera and Fresno Counties.